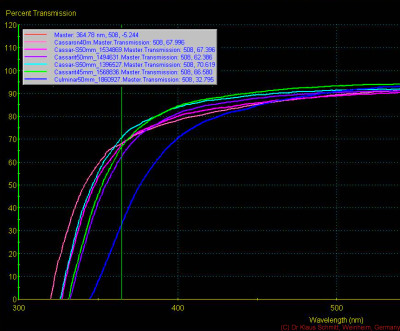 In terms of UV transmission, all are not great except the 135mm, which is quite different. I guess they had used a special coating for the others, but not the 135mm (transmission looks Rodagon like). All I tested have focus shift. 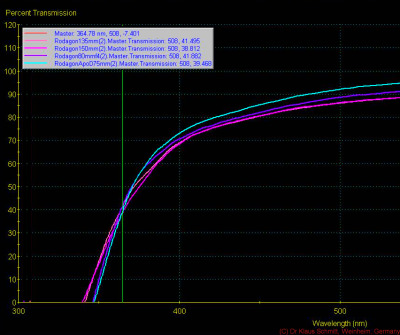 In terms of UV transmission, quite unexpected good UV transmission, surprisingly also the Apo Rodagon D type. Not having done focus shift tests, but would assume it's there. 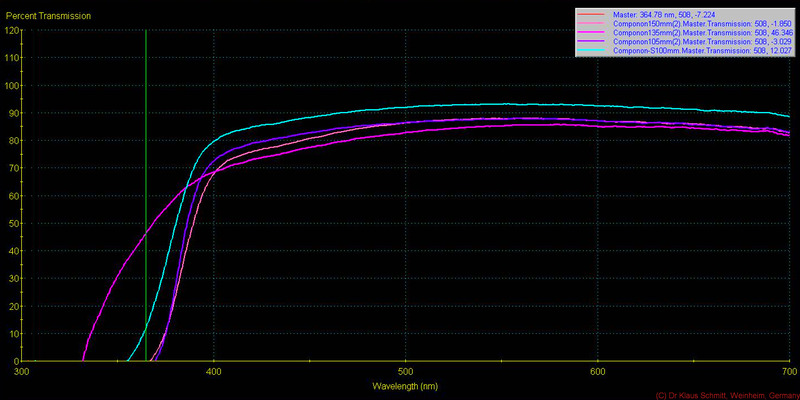 As I was testing (again) lenses for UV photography, so I ran a few more spectrometric tests now on STEINHEIL lenses, which might be of interest. These are all M42 thread mount taking lenses in silver aluminum barrel. 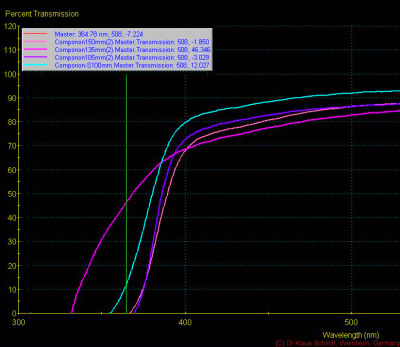 In terms of UV transmission, all are quite good (except the Culminar) but all exhibit focus shift.